Papoose Lake Fun – Let's Paint Nature! Recently I stopped at Papoose Lake to have some fun. Oh what fun I did have for sure! Looks like this blue vervain just started to bloom. These tiny 5 petal flower clusters will continue to bloom straight up the spike. 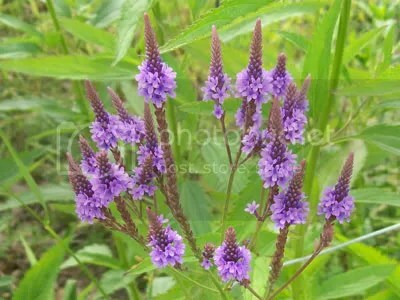 I think I would have named it purple vervain, to tell you the truth. I think this will be a painting one day! Holy cow! Look at that! Is it a monster? No, just the cutest little muskrat I ever did see! 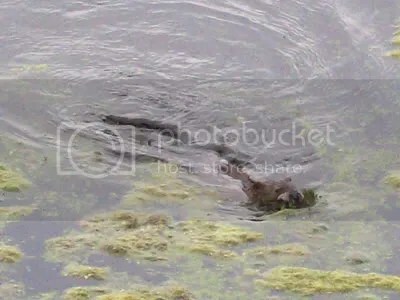 He was minding his business, collecting sticks underwater until he saw me, a big monster in his eyes, and took off down the lake, paddling his little rat tail as fast as possible. Dragonflies were abundant. Two particular types stopped long enough for a picture. 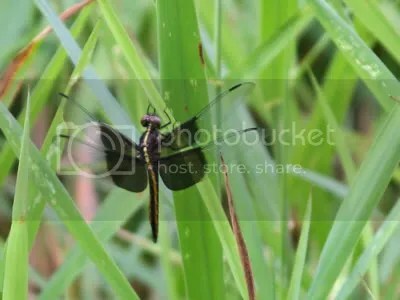 This is a Widow Skimmer dragonfly. It is named “widow” because as soon as she lays her eggs, the male takes off. What the heck?!? Anyway, I love that gold stripe down it’s back. Black and gold, handsome colors. 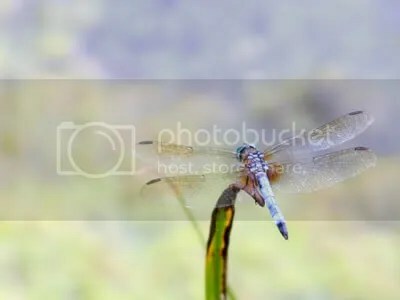 Next, we have a Blue Dasher Dragonfly. He had the a most incredible turquoise head to go with his striking blue body. We must sketch him later! Not only did a muskrat, blue dasher, and widow skimmer visit me, but the frogs did as well! 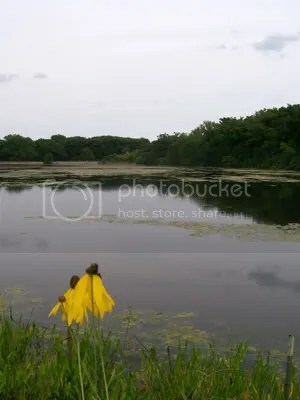 Here we have a bullfrog head keep watch from the lake. He thinks he’s sneaky, but his cover is totally blown! I see you Mr. Bullfrog. This guy was a little more obvious but tiny! He might be a whole 2 inches! I’m guessing this is the Green Frog. Tiny but cute! I was pleasantly surprised over the surplus of wildlife I encountered at Papoose Lake. Summer at the lake is bursting with interesting creatures. I must sketch them all. 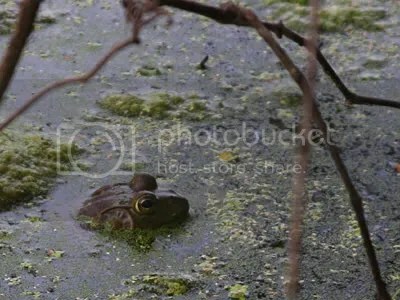 Great looking shots of the Dragonflies and other critters..
Like the frog peeking out of the water! 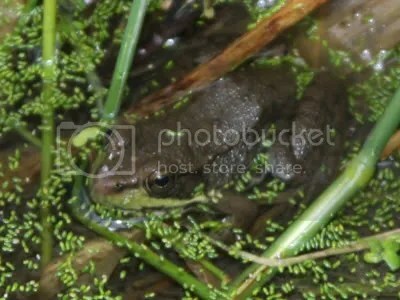 Pingback: Let’s Paint the Green Frog at Papoose Lake! « Let’s Paint Nature! Pingback: Let’s Paint the Blue Dasher Dragonfly! « Let’s Paint Nature!